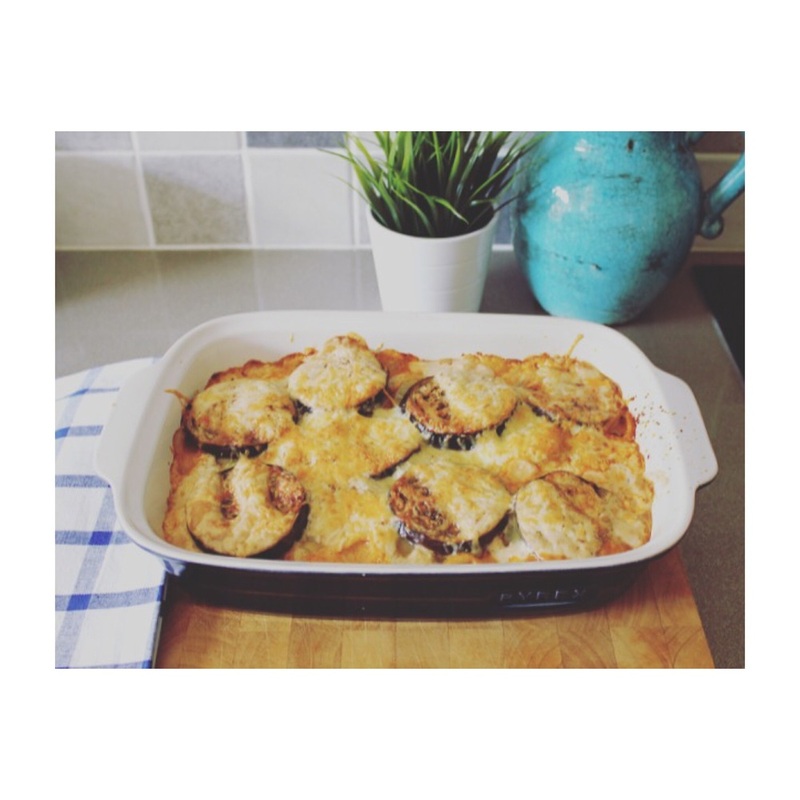 Aug 16 Easy Peasy Moussaka - Lasagne ..
Preheat your fan oven to 180 degrees. Finely chop the onion and fry in a little olive oil, add the mince and cook until brown.Add salt & pepper, cinammon, tin of chopped tomatoes and a glug of red wine. Leave on a low to medium heat, stir regularly for 15 minutes. 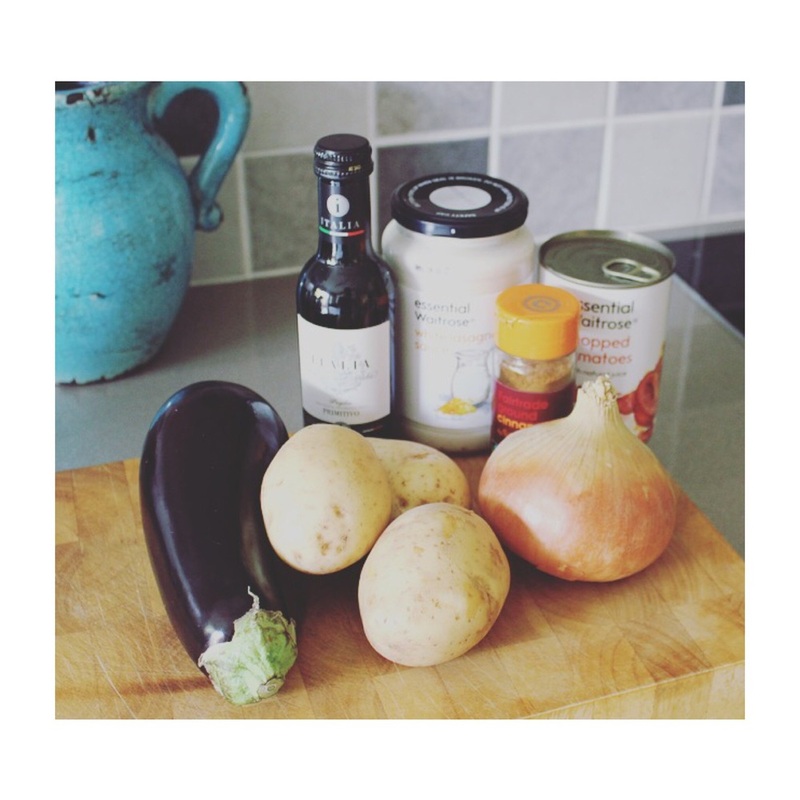 While that cooks, peel and slice 4 large white potatoes and 2 aubergines. Fry these in a griddle pan for 2-3 mins, adding some salt and olive oil. Place the lightly fried potatoes and aubergine on to some kitchen paper. Put half the beef / lamb mixture on into you pirex dish.Layer some potato and then aubergine on top, follow with a drizzle of white bechamel sauce - home made or you can cheat like me and use a a jar. Place the remaining beef / lamb mix over the top and place the rest of the potato and aubergine on top - like a lasagne. Pour your remaining white sauce over the top, add a sprinkle of nutmeg and finish with a good sprinkle of grated cheese.Place in the oven for 45 to 60 minutes. Serve with seasonal vegetables. Get updates on future blogs!